I’ve made a book. Or rather written/illustrated/compiled a thing. It’s been a late rush, as it’s due in a couple of weeks, but it’s all coming together, almost like a plan. It’s for the Sketch Book Project, which is run by Brooklyn Art Library. My lil book will be kept there and will be available for borrowing from New freaking York baby. A lil piece of me in the big city. It will be digitised, so people will be able to see my so-called ‘art’ and dodgy handwriting and suspect collage skills online as well. As you can tell I’m really good at overselling this achievement. Just a fuzzy snippet. 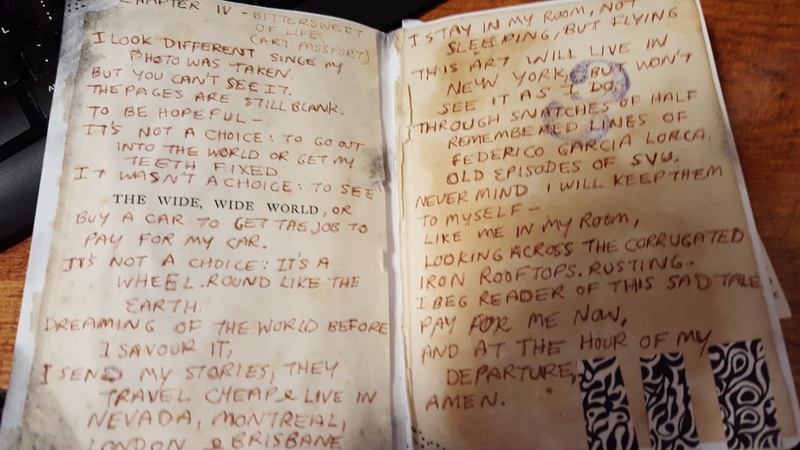 Ancient pages, new poetry, old patterns. It is my first such venture and it’s been fun. The more I’ve worked on it, the more it has come together. 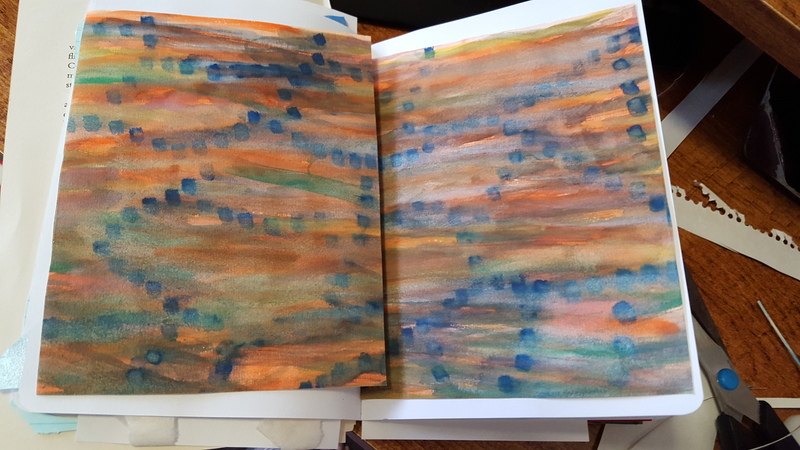 I cut up a few old books, doodled a bit using Zentangle inspired patterns and pre-Zentangle patterns, found old sketches and water colours I did from last century that were sitting around gathering dust, stuck them all together and voila there is my book with my own poetry, prose and art. Work as process. Paint 20 years ago, wait, then cut up. 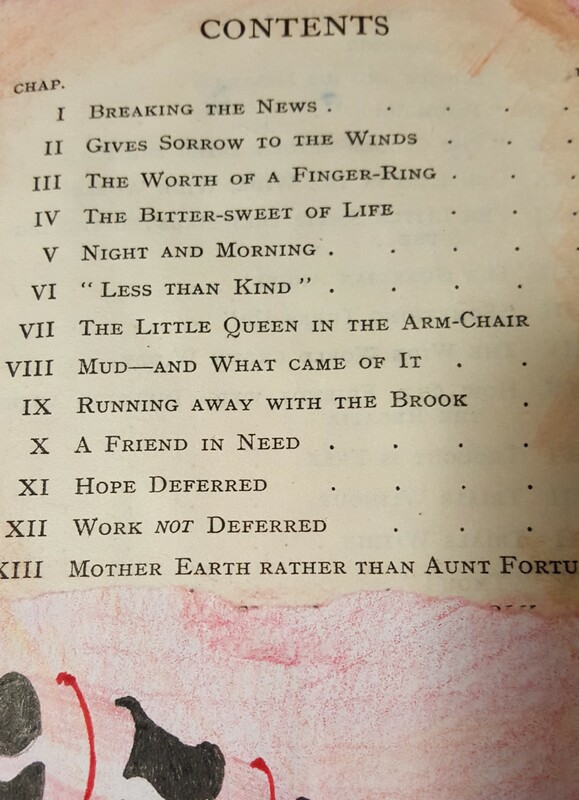 The most important thing I did to start, was to select a contents page from an ancient novel, cut it out and use half of it for chapter titles. It gave this project an artificial structure and a weird kind of narrative that I needed to interpret my theme of ‘Strange Neighbours’ – there are about 200 themes to select from. As a writer, and now as an artist (hehe I can say that), boundaries are everything. As I was saying, find a book, cut it up. Zentangle over it. Sure, the book with its limited page numbers and small size are physical boundaries, but it’s even better to work to a plan so there are imaginative constraints. Cos otherwise anything goes and then anything looks like nothing. Also, paying into this, literally, paying to take part, gives this a further impetus to get it done. Otherwise perhaps not. Inspiration, constraints and pressure – be they time or theme or finances or anything else – are almost always good for creativity. #protip. 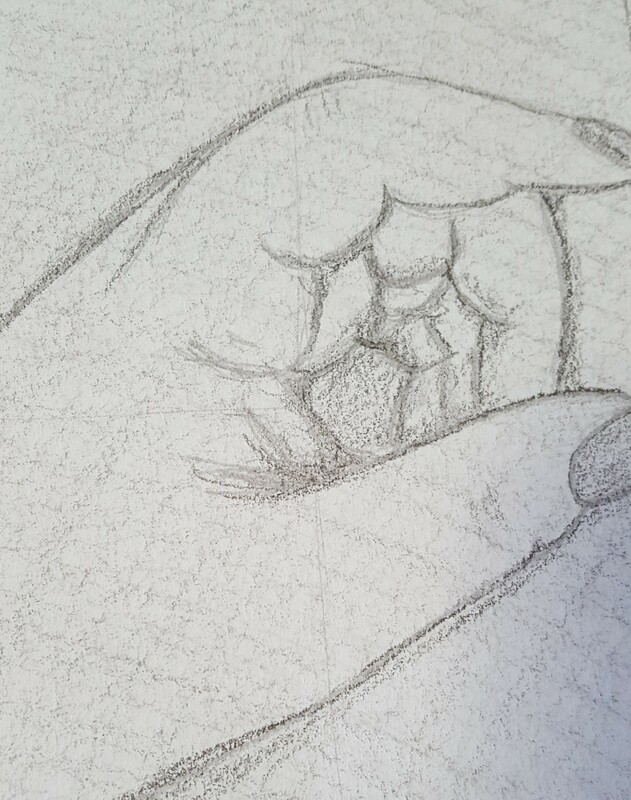 Actual sketch of my very hand, done by my very hand, about seven years ago. Now in the book. If you want to art, I recommend this project. The first thing you will need is permission. I know I sound Elizabeth Gilbert, but too many people deny themselves art because they think they aren’t good enough. Forget good. Good is a critical thinking exercise influenced by artificial parameters you don’t need to fit. Instead, just have a go. If you need prompting, or a start, I tried Zentangle and also read Syllabus by Lynda Barry, which is about comics. Both however, are about getting over the no and can’t to reach the why not and let’s begin and coming up – get this done. Not quite finished, but trotting along. This project was listed as one of my creativity resolutions for this year. So I’m pretty damn ecstatic about (almost completing) this. So happy, I’m gonna do another one. I don’t know where this will lead, but at least, at last, I too can has art now.